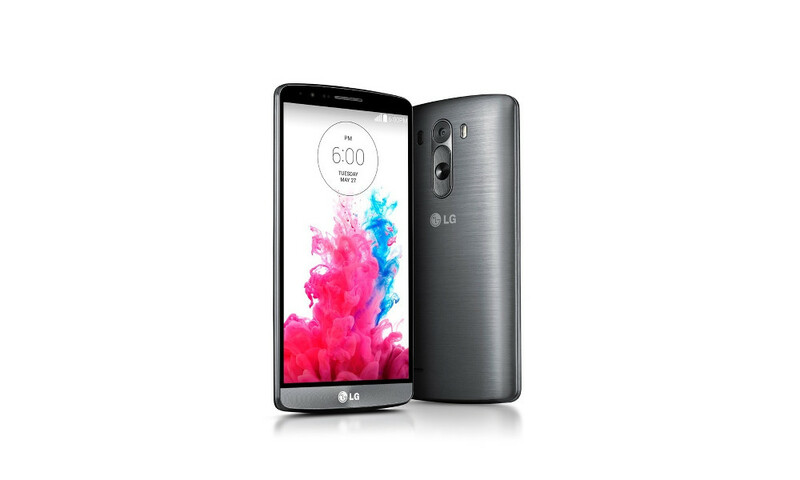 If you are considering the LG G3, you probably want to know how it compares to the other flagship phones of the moment. Devices like the Samsung Galaxy S5, HTC one (M8), and maybe even the Nexus 5 are all more than likely on your radar. 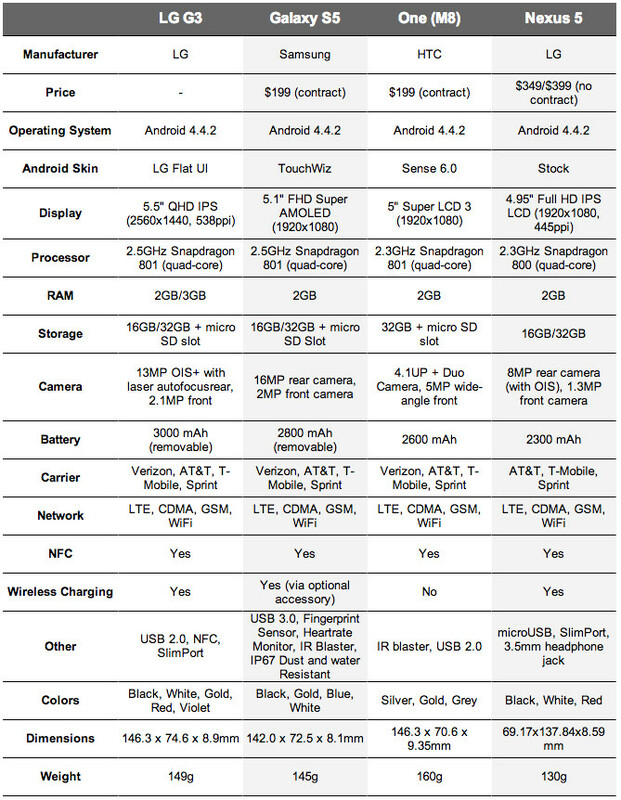 To help you decide, we put together a classic comparison sheet of their specs, so you can at least see how they stack up to one-another on paper. The G3 is the first of the bunch to use a QHD display, so in terms of display, it clearly stands above the rest. But is the 13MP camera, metallic body, new flat LG UI, 3000mAh battery, and combination of storage and RAM enough to make it the best of them all? Tough to say until we all spend more time with the G3.